Join us for the second webinar in our series about Infor VISUAL 8! In this session, we will demonstrate how you can transform your VISUAL splash-screen to launch custom designed web pages. Also, see how users can use new Dashboards to create their own view into the VISUAL business data, with complete vertical and horizontal drill-through to all levels of detail. 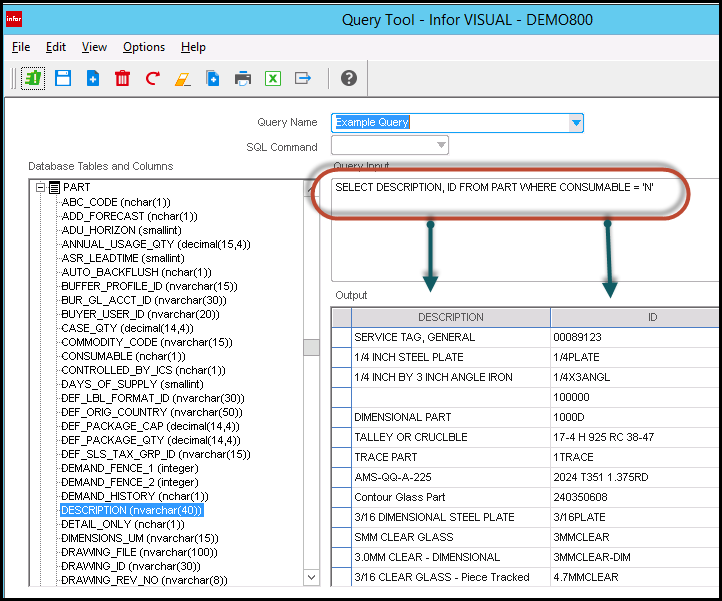 Did you know that the Query Tool has been drastically improved in VISUAL 8? 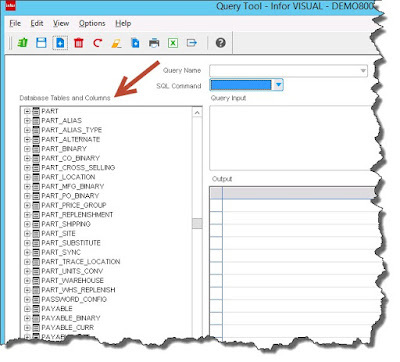 Many of you have seen the Query Tool that comes with VISUAL. If it doesn’t look familiar it could be because many of you saw it once, didn’t know how to use it, and never looked again. 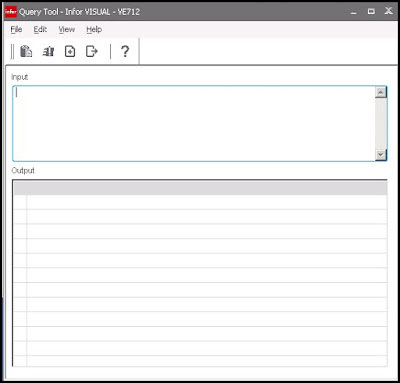 The tool is much friendlier in VISUAL 8. 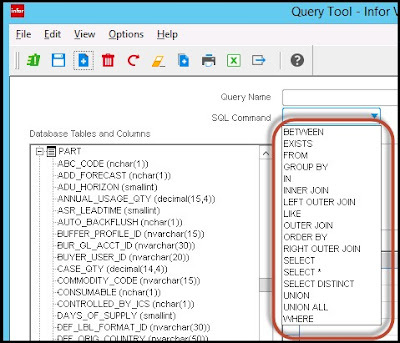 With the simple addition of allowing users to select data fields, the tool advanced leaps and bounds. As you can see, the table names are listed for you. If you click the “+” next to the table, you can see the fields within that table. 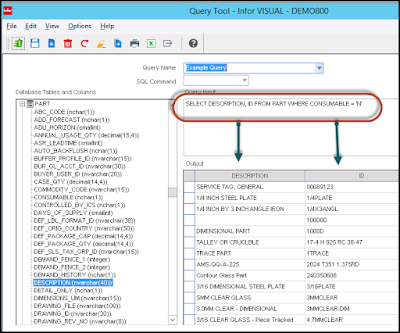 Below shows what is displayed when you expand the PART table. 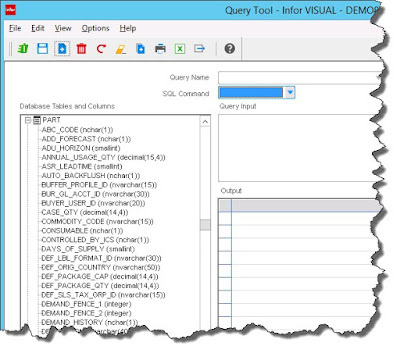 Additionally, Infor has added a drop down list of commands which can be used. 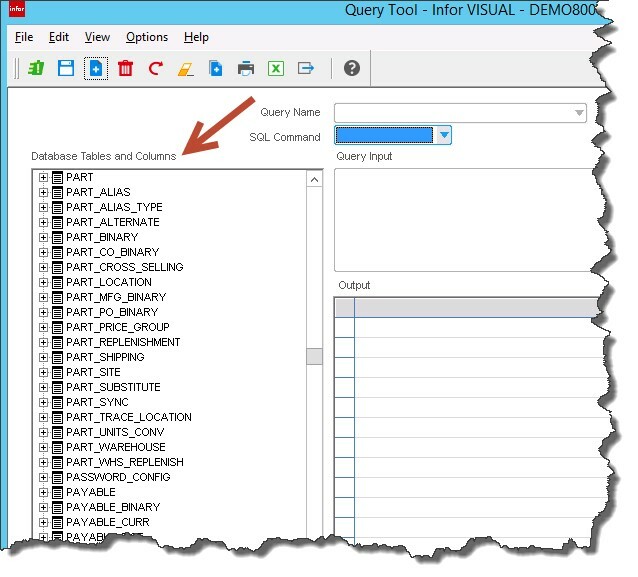 See below what is displayed through the drop down list. Now users can create simple statements even if they are not completely fluent in the database structure and SQL. Below is a simple example that anyone could build now. This tip was brought to you by BizTech VISUAL Consultant, Larry Tussing.